Variegated WillowDeciduous shrub. Fast growing. Broad fountain form with slightly weeping branch end..
Purple Osier WillowDeciduous shrub. Bright green leaves. Dark green leaves on top and silvery undern..
American ElderberryDeciduous shrub. Attractive deep green foliage grows into a dense attractive bush..
Blue ElderberryDeciduous tree. California native. Light green foliage contrasts with abundantly clus..
Black ElderberryDeciduous shrub. 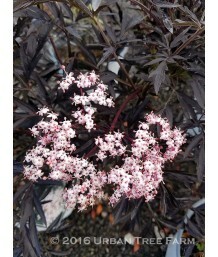 Distinctive lacy foliage all season and soft pink early summer flow..
Black ElderberryDeciduous shrub. Prefers shade in hot climates, can tolerate full sun in cooler summ..
Cut-leaf ElderberryDeciduous tree. Finely cut green foliage and flat topped clusters of white flower..
ElderberryDeciduous shrub. Erect habit with distinct white mottled, elongated foliage. White flowers..
ElderberryDeciduous shrub. Erect habit with bronzy-purple new growth. Leaves are pinnate and about 1..
Black ElderberyDeciduous shrub. 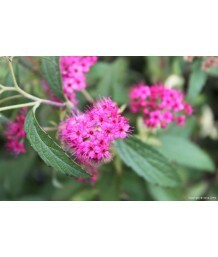 Distinctive lacy foliage all season and soft pink early summer flowe..
ElderberryDeciduous shrub. Dark bronzy-green foliage. Attractive pink clusters of flowers in late Sp..
Golden American ElderberryDeciduous shrub. Spreading and suckering growth. Golden green foliage. Cre..
Japanese Climbing HydrangeaDeciduous vine. Trained to grow along an upright stake in the center of t..
Japanese Climbing HydrangeaDeciduous vine. Already trained to grow on a trellis. Huge, heart-shaped,..
Ural False SpiraeaDeciduous shrub. Vivid fern-like foliage opens pinkish-red with chartreuse green i..
SpiraeaDeciduous shrub. Moderate growth rate. Rounded mounding form. Medium-sized dark green oval to..
SpiraeaDeciduous shrub. Moderate growth rate. Rounded form. Medium-sized oval toothed leaves emerge ..
SpiraeaDeciduous shrub. Moderate growth rate. Rounded mounding form. Medium-sized oval toothed leave..
SpiraeaDeciduous shrub. 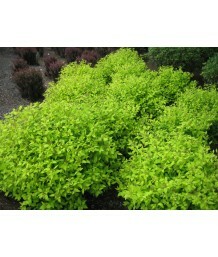 Bright lemon-yellow foliage matures to lime green on a compact mounding form..
SpiraeaDeciduous shrub. Green leaves contrast with numerous pink flower clusters. Attracts butterfli..
SpiraeaDeciduous shrub. Neat, compact mound with vibrant new red leaves and bright gold mature folia..
SpiraeaDeciduous shrub. Bright neon-red flowers appear over a long period and are offset by a neat m..
SpiraeaDeciduous shrub. Bright green leaves on slender stems. White, pink, and red bloom clusters co..
Snowmound SpiraeaDeciduous shrub. Moderate growth rate. Rounded mounding form. Medium-sized dark gre.. 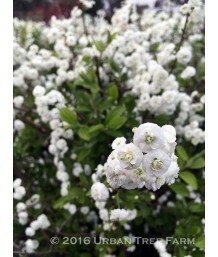 Bridal Wreath SpiraeaDeciduous shrub. Fast growing. Widely arching branches. Small dark green leaves.. Bridal Wreath SpiraeaDeciduous shrub. Fast growing. Arching fountain-like branches. Small dark green..
Common SnowberryDeciduous shrub. San form broad thickets or sometimes narrower fountains. Soft, brig..
Tinkerbell LilacDeciduous shrub. Rounded, upright, non-suckering, compact habit. Wine colored buds t..
Tinkerbell LilacDeciduous shrub. Pruned into a small, single trunk patio tree. Rounded, upright, non.. Hybrid Lilac Sugar Plum FairyDeciduous shrub. Rounded, upright, non-suckering, compact habit. Fuchsi..
Red Chinese LilacDeciduous shrub. 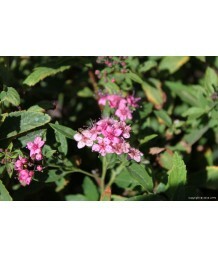 Tiny, reddish-purple flowers are grouped into showy, fragrant, ter..
Canadian LilacDeciduous shrub. Early blooming, two weeks before other varieties. Green foliage contr.. 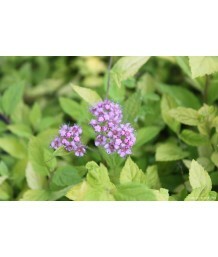 Dwarf Korean LilacDeciduous shrub. Compact, rounded habit. Cones of lavender-pink, fragrant flowers .. Dwarf Korean LilacDeciduous shrub. Pruned into a small, single trunk patio tree. 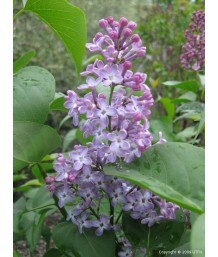 Produces five inch ..
Weeping LilacDeciduous shrub. Small, graceful tree with a weeping form. This mounding tree features..
Manchurian LilacDeciduous shrub. Compact upright habit. Lavender to ice blue, sweetly fragrant, sing..
Manchurian LilacDeciduous shrub. Pruned into a small, single trunk patio tree. Compact upright habit..
Japanese Tree LilacDeciduous tree or shrub. Rounded crown. 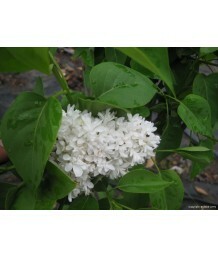 Creamy white, fragrant, single flowers ar..
Common LilacDeciduous shrub. Moderate growth rate. Densely rounded form. Medium sized medium-green o..
LilacDeciduous shrub. Upright habit. 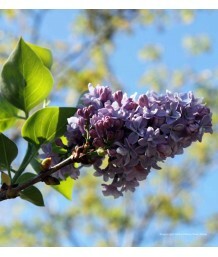 Cones of double vibrant purple, fragrant flowers bloom in mid-s..
LilacDeciduous shrub. 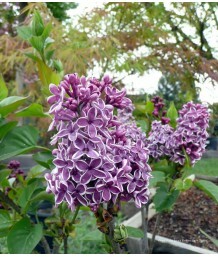 One of the best lilacs for warm winter areas. 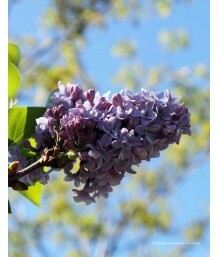 Spectacular clusters of fragrant..
Lilac (French Hybrid)Deciduous shrub. Moderate growth rate. Dense, upright form. Medium sized medium..
LilacDeciduous shrub. Moderate growth rate. Upright branching densely rounded form. Medium-sized med..
LilacDeciduous shrub. Green foliage contrasts with large, double white bloom clusters. Deer resistan..
LilacDeciduous shrub. Early blooming French hybrid. 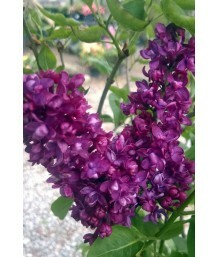 Produces abundant clusters of double, lavender p..
LilacDeciduous shrub. Moderate growth rate. Densely rounded form. Medium-sized medium-green oval lea..
LilacDeciduous shrub. Moderate growth rate. Dense, upright form. 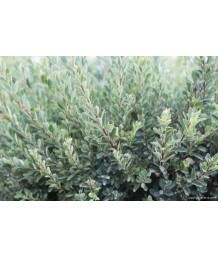 Medium sized medium-green oval leav..
LilacDeciduous shrub. Upright growing habit. Prized for legendary fragrance. Dark green foliage. Att..
LilacDeciduous shrub. Pruned into a small, single trunk patio tree. Moderate growth rate. Densely ro..
LilacDeciduous shrub. Also known as President Lincoln. Compact, upright growing habit. Prized for le..
LilacDeciduous shrub. Upright habit. Blue-green heart-shaped leaves are attractive through summer. F.. Hybrid LilacDeciduous shrub. Moderate growth rate. Upright branching densely rounded form. Medium-si.. Dwarf LilacDeciduous shrub. Moderate growth rate. Upright branching densely rounded form. Medium-siz.. Early Flowering LilacDeciduous shrub. Early blooming, two weeks before other varieties. Green foliag..
Mount Baker Canadian LilacDeciduous shrub. Early blooming, two weeks before other varieties. Green f..
Pocahontas Canadian LilacDeciduous shrub. 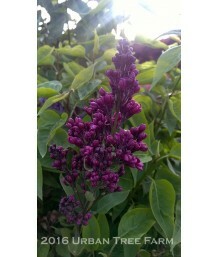 Extend the lilac season with this extremely hardy, early b..
Persian LilacDeciduous shrub. Compact habit with upright, slightly arching branching clad with fark ..
Cut-leaf LilacDeciduous shrub. Arching fountain shaped habit. Fragrant clusters of lavender blossoms..